In one incident, a female reported that two men dressed in black and hoodies took her scooter as she entered the yard of her residence in Fat Hogs Bay around 9:00 P.M. In the incident, the female attempted to defend her property but was hit on her helmet with what appeared to be a handgun. The assailants then rode off on the scooter. Police later recovered the scooter undamaged. No injuries were reported. The assailants are described as 5’6 and 6’0. In the second incident, close to midnight, five minors ranging in age from 13 to 16 were arrested for removing two scooters from the Road Town Police Station compound through a small area adjoining the Althea Scatliffe Primary School fencing. Two of the minors have since been charged with theft. 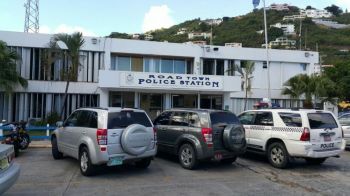 Annually, Royal Virgin Islands Police Force records an increase in reported theft during the summer months. Parents and guardians are encouraged to ensure that youngsters are engaged in wholesome activities. Premises should be searched regularly for any strange or unexplained items. When will those youth's learn that lifestyle is a lie!? When will those youth's realize no matter how it goes/how long it goes soon enough they will be caught? When will those youth's realize the only person who win are lawyers. Win case lawyers get paid. Lose case lawyers still get paid. It's true the youth's do spend more time with them friends than with their parent/s yet more sad none of the friends can be a friend and say (boss stop your $hit etc. Many youth's are also peer pressured into doing things that's wrong because of not being called a (punk or looking soft or being laugh at or all the above. I was once there I know. Too many youth's either going Blasum gut or Jhonson Gut for stupidness. Brave move the lady made but being shot of a scooter just not worth it. I hope the punks are caught soon enough. Wow. What an afront to law and order. They start early yet so few comments rebuking such behavior. What a society we live in. And on top of all that the kids did, I heard that their parents went to the police station and let the police had it with the manner in which they behave. They should be ashamed of themselves now that the truth has been revealed.